Garrett Leight "Cloy" round sunglasses. Lens/bridge/temple (in mm): 48-22-145. Stainless steel frames with Windsor rims and acetate trim. Mirrored, mineral glass lenses with antireflective coating. Cured cellulose acetate temple tips. Filigree detail through nose bridge. Silicone nose pads. Capped earpieces. 100% UVA/UVB protection. Imported. 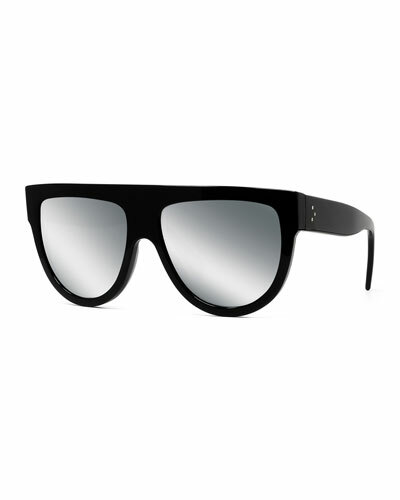 Garrett Leight "Zephyr" shield sunglasses. Lens/bridge/temple (in mm): 57-16-145. Cellulose acetate frames with stainless steel trim. Semi-flat gradient CR-39?? lenses with antireflective coating. Double nose bridge; straight brow bar. Injection molded nylon side shields. Slim arms; capped ear pieces. 100% UVA/UVB protection. Imported. 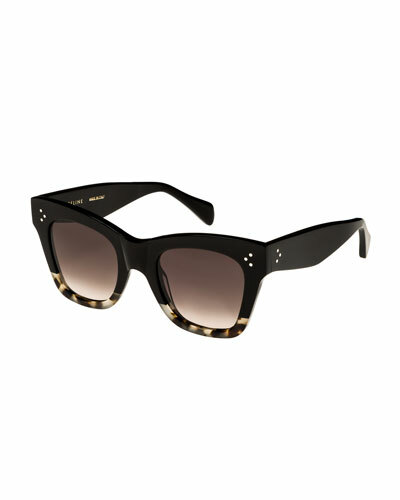 kate spade new york "alexane" sunglasses in acetate. Lens/bridge/temple (in mm): 53-19-140. Rectangular gradient lenses. Signature spade detail at temples. Le Specs Luxe "Bang" sunglasses - a stylistic tribute to mid-century design, this round lens silhouette features keyhole bridge detailing and distinct squared-off frame. Handmade patterned acetate frame. Round, monochromatic CR-39?? lenses. Finished with a discreet foil flagstripe inlay on the left tip. 100% UVA/UVB protection. Imported.